There is a quasi consensus that Leanca should leave PLDM and launch a political project of his own. I would like to argue the opposite. Leanca should stay as first deputy chairman of the Liberal Democratic Party for a number of reasons, but let us address the nature of Moldovan political establishment first. 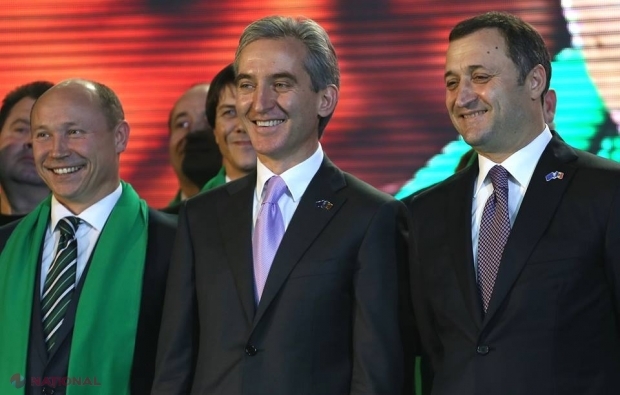 It is common knowledge that Moldovan political leaders do not consider intra-party democracy a virtue or, for that matter, democracy in general, if it does not fit their narrow interests. Local politicians view parties as their private property and they have a good reason for that. Parties usually owe their existence to a very narrow group of people and their funding comes from an even smaller group. As a rule, a founder of a party becomes chairman and does not let go of that position voluntarily even if it is long overdue. He controls all financial flows and decision making within the party, becoming the sole image of the organization. Most parties are thus a ‘one man show’. PLDM was initially thought to be different. Back in 2007 Filat defected from the Democratic Party largely because Diacov would not make him chairman. During his failed mayoral camping, Filat and his team energized the pro-western, educated, young urban professionals, who were desperate for a change they can believe in. Filat and his team were the embodiment of that change. However, soon enough prominent members of his team started to question Filat’s leadership style and, predictably, left one by one. 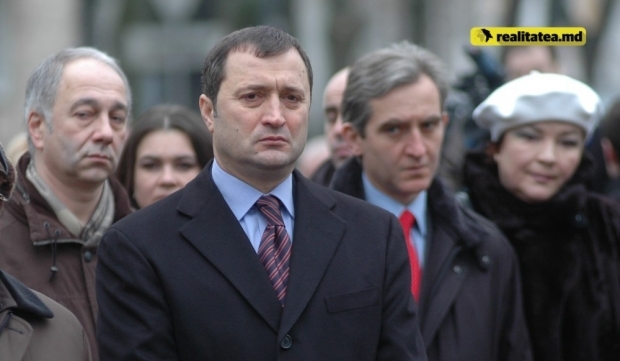 Filat blamed Plahotniuc for corrupting their souls. Yet, one has to wonder how come no one defects from Plahotniuc, who is, after all, the embodiment of evil, is he not? Defection is an easy way out and is a sign of weakness. If Leanca abandons PLDM, he accepts defeat. He would also disappoint his supporters in the party who look up to him for leadership. He should try to forge coalitions with regional party leaders and assemble a critical mass to put pressure on Filat. Yet, that requires time. He should have done that when he was prime minister and made his move during the last few months, now that Filat is back in business and has full control over PLDM, there is little that Leanca can do. Luckily for him, new elections or major political scandals will avail themselves soon enough. Leaving now is simply giving up and people do not like quitters, no matter how bright and eloquent. This is one of the reasons why Filat, Lupu, Plahotniuc and Dodon cannot be national leaders, Leanca can still try. There is little chance that his new political project would succeed. If Leanca hopes to pull another Ghimpu or better say Chirtoaca, that is to capitalize on the disillusionment of PLDM voters following the coalition with the communists, much like PL did after Rosca betrayed his constituency, I am afraid it will not work. Even though there are plenty of PLDM members unhappy with PCRM’s role as kingmaker, there are many more who either do not care or actually stand to benefit – pragmatists they like to call themselves. If Leanca wants to pull a Dodon, that is to galvanize the pro European base, much like the socialists rallied the pro-Russian crowed, it will not work either. You need a “Kremlin” for that and Brussels isn’t Moscow. If Leanca plans to rely on Sturza and Stati’s cash, it may not work as the two are seasoned investors and Leanca is too risky of an asset. Besides, no matter how enticing a party with two former prime ministers may seem, we have had that before, and it did not work out – 2.75% in April 2009. Now, if you think 6% threshold is high, what about 8-10%. Going with the Liberals is not a magic bullet either. Even if we assumed that Ghimpu would have the vision to allow Leanca to lead the party, which has not yet happened for his nephew, Leanca would be on very shaky ground. His leadership would be undermined by lack of legitimacy within the party and various power struggles. Yet, more importantly liberals have a clear voting pool of about 15% and Leanca is unlikely to break that ceiling, at least not by enough to make it worth his while. PL is doomed to be a junior coalition partner, and Leanca wants/needs more than that. Leanca may not have the electoral potential some like to project onto him. Leanca, despite his western soft spoken professional allure, does not live up to the image many have projected onto him. His current rating is largely due to the office he just stepped down from. Like it or not, his numbers will inevitably go down and there will be only a modicum left before the next elections, especially if it is in four years. Filat will make sure it is exactly the case. Leanca should swallow his pride, just like he did when he went to PCRM before the confirmation vote. He should bite the bullet, just like he did when the Airport was leased and Savings Bank was embezzled or when he defended Plahotniuc on BBC. He needs to be strategic as when he, along with Plahotniuc, went behind Filat’s back to persuade Ghimpu to vote for him. Filat went with Plahotniuc and Voronin because he is a pragmatist and Leanca should be too. If Leanca were a pragmatist, he would choose to fight for PLDM leadership for his own benefit, for the good of the party and, if you will, for the sake of Moldovan democracy. PS: It is obvious that, in light of recent developments, Leanca may feel that he no longer belongs in PLDM and that Filat desperately wants him out. Many PLDM members may disagree. As for Filat, why indulge his egoism?